The final report on the 2009 AF447 crash is out today. I didn’t read the entire report but most of the blame was placed on faulty pitot-tubes, as had been expected. There is also a fair amount of discussion about the pilot’s actions but the head of the French BEA stated that “the same situation could have occurred with a different crew on board”. I can appreciate that statement and the difficulty the AF447 pilots were in. Airline pilots are practically human robots, almost everything they do is a programmed procedure. That’s not to say there aren’t many times they have to exercise sound judgment but when it comes to basic flying procedures, they aren’t supposed to have to figure things out. When the pitot tubes became frozen the AF447 crew was presented with conflicting warnings and information that made no sense. The cockpit warnings and information weren’t reflective of the aerodynamic condition that the airplane was in, nor was it a situation the crew had been adequately trained to deal with. How do you react when one indication contradicts another? My condolences go out to the families of the passengers and crew. I had a frozen pitot tube once. 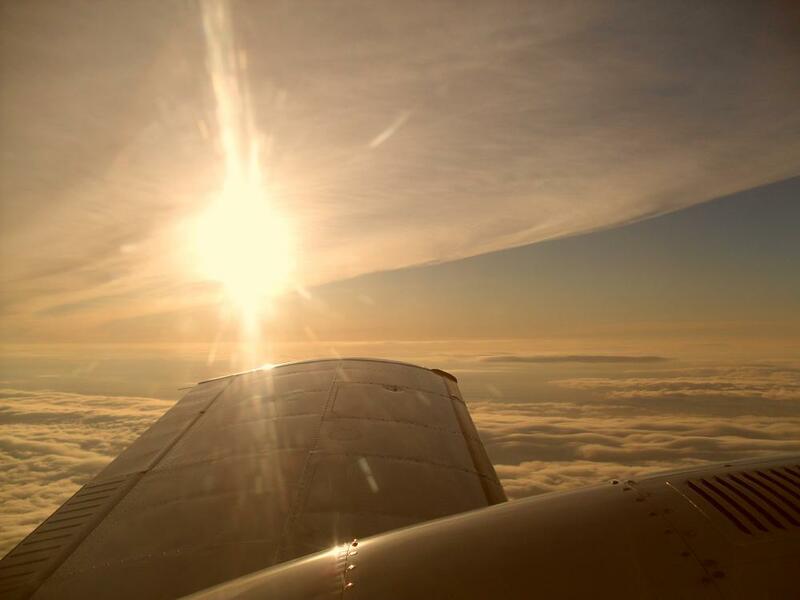 I was flying an older Seneca to Europe at the end of the northern hemisphere winter. I had refueled in Kuujjuaq and was on my way to Iqaluit. In Iqaluit avgas (100LL) is available in drums only and you have to buy the entire drum. I was hoping to buy just one drum of avgas in Iqaluit but my fuel consumption looked to be a bit high. Not wanting to buy a second drum for an additional 10 gals or so I decided to throttle back to a more conservative power setting, hoping to save a bit of gas between CYVP and CYFB. I knew I shouldn’t have throttled back, one of the points I often have to explain about doing ferry flights over the North Atlantic is that many times you won’t be able to go to max range power settings in piston engine airplanes because the engine temperatures will fall below the green arc due to the extreme cold. As it was the temps in my Seneca didn’t fall below the green arc but only a few minutes after I had throttled back the left engine oil pressure started to drop and the left engine oil temperature started to rise. Both needles stabilized before going out of the green arc but I knew something had happened nonetheless. My guess was that the left oil cooler had congealed or frozen. The oil inside the cooler got so cold that it would no longer flow through, thereby blocking the cooler. The oil cooler bypass valve opened so I was running the left engine essentially with no oil cooler. This wasn’t a dangerous situation in itself as long as the oil temperature and pressure stayed in the green arc, but not fun either. As I approached Iqaluit the weather was beautiful and clear but surface temperatures were in the -30C range. I had been delayed a bit in Kuujjuaq and was arriving in Iqaluit about 20 minutes after dark so I decided to set up for the ILS approach. My Seneca had a nice autopilot and I decided to fly a coupled approach. I was flying a stabilized approach at 95 kts IAS, one notch of flaps and was passing through about 1,600 feet when the airspeed dropped to about 90. I added some power. I should note that the pitot heat was ON. I fly light airplanes like you would a large airplane, meaning I turn the pitot heat ON when I go on the runway and OFF when I leave the runway. A few moments after I added power the airspeed dropped again, this time significantly. My immediate thought was that I lost the cranky left engine. I grabbed the yoke, disconnected the autopilot and shoved both throttles way up. I looked at the airspeed and it had now dropped dangerously low to around 65 knots. If you stall a twin engine airplane on one engine, especially close to the ground, you most likely won’t live. So I did what I was trained to do. I yanked both throttles back and pushed the nose down. I yanked the throttles back because I thought at the time the airplane was only developing power on one engine, which would be extremely dangerous in a stall. I pushed the nose down hard. It was dark but I could see the runway. I only had just over a thousand feet of altitude. The airspeed kept dropping and I realized something wasn’t right. I was reacting to an indication of low airspeed but there were no other stall indications. No stall warning, no aerodynamic buffet, nothing. I glanced over at the GPS and saw the groundspeed indicating something like 130 knots. By now my airspeed indicator was flat at ZERO. Realizing that I was not in a stall but had a frozen pitot tube, I added power and raised the nose to a nose-level attitude. I was only about 3 miles from the runway and I flew the rest of the way by eyeballing the nose attitude, guestimating the power setting and glancing at the GPS groundspeed, making sure to keep it up quite high. Iqaluit has a long runway and I was able to make a reasonable landing. The entire “upset” (if you want to call it that) only lasted maybe 10 seconds, maybe less. Much like the AF447 crew, I reacted in a programmed way but the situation was not what was indicated. First I reacted to what I thought was an indication of losing an engine (unusual drop in airspeed during an autopilot coupled approach) and then I reacted to what I thought was a stall. My problem was easy to identify, as soon as I realized my initial responses didn’t produce the expected result I was able to identify the real problem, the frozen pitot tube. Sadly, the AF447 crew was in a much more complicated and dire situation (for one, they weren’t able to see the ground and fly by visual reference, I was). On the rollout the pitot tube started to unfreeze. There was never any loss of power on the left engine, that was just my initial reaction based on the indicated loss of airspeed and earlier indications (which had persisted) of high oil temp and low oil pressure. There was also never a loss of airspeed, just a frozen pitot tube. Not long after I took this picture the Seneca’s left oil cooler froze up on me. Well done on the stall recovery technique! And then attitude and power are all you need to stay flying. I recommend you read the entire report on af447. It is sadly not unique in terms of pilots not knowing how to fly manually when the autopilot quits. Had the captain been in the driving seat I very much doubt they would have stalled. The SO and FO were trained some 10 years previous on a short track 200 to 250 hour JAR CPL course with very little emphasis on manual flying. They then went straight onto an automated FBW airbus A320 and later the A330. This is now routine route into airlines in the EU. And the flight training time is being reduced even further under MPL to around 70 to 100h then SIM only training before type rating. These cadets ate being short changed both in terms of now paying around $150,000 for the course then another $30000 for an airbus or Boeing rating. The LoCos and even some national carriers will no longer take experienced pilots or even ex military Harrier pilots! Rather these cadets pay to fly passengers for 6 months before being replaced by another cadet. See: http://www.chirp.co.uk/Downloads/ATFB/ATFB101.pdf. Column 2 woefully undertrained pilots! And that is in the UK! Let alone Lion Air or a third world airline. AF447 should never have happened. There were many other a330 and a340 pitot icing events in even worse Wx where no one died. But there are lots of stall events where pilot incompetence has made matters much worse than necessary. Colgan, Turkish b737, Norwegian metro liner etc. …. Thanks for your comment. In the big picture the airline safety record in the past 10 years or so has been absolutely exemplary. Having said that I do agree that it is a challenge for pilots in such a highly automated environment to maintain good airmanship / basic flying skills. I agree with your comment about pilot training. While I understand that airlines like to hire young pilots fresh out of school there is no reason why experienced pilots should be left out – but they are. Talk to any airline HR person and they want you to believe (maybe they truly believe so themselves) that their fantastic recruiting process makes for an airline full of top-gun pilots. However, talk to any Chief Pilot or Director of Ops and they will tell you their pilots range from great to average to some (few) who have issues. After departure from Brasil the airplane was fully loaded and tanked. The airplane was in a cruise condition and probably flying in a narrow speed slot of stall and maximum allowed mach number. Strange is also that the plane dropped 35000 feet in 3 minutes. I wounder if this is possible in a stalled condition? And we do not know what the autopilot did before it disengaged. Probably it took the airplane into a condition from which a recovery was not possible any more. A frozen pitot should show lower speed. The autopilot should then increase power to compensate this taking the plane to higher mach numbers. But who knows what then hapens? I think, it would be good practice to simulate this incident in reality. Yes, as is the problem with computers – assuming you can cope with every situation by a set algorithm is an extremely foolish philosophy – especially if you do treat pilots like robots. I’ve been playing X-plane for a little over a week and, until then, I knew nothing about the cockpit of an airliner. 1. The Δdistance/Δtime to the next waypoint on the FMC. 2. 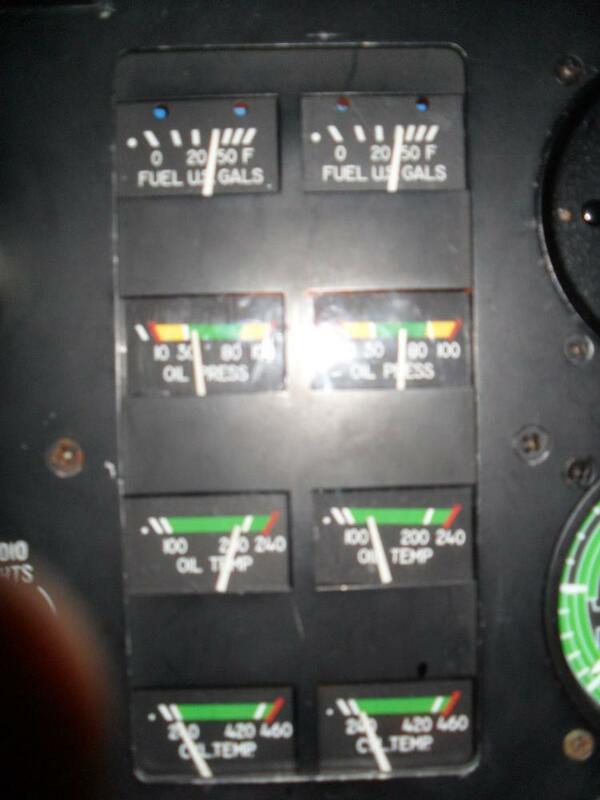 The FMC has the approximate throttle level to maintain cruising speed at cruising altitude. 3. If I’m near a storm or waypoint, I can use the radar to estimate how far a piece of the storm or the waypoint has moved in relation to me over what period of time. 4. I can calculate it directly from the GPS coords (hard). 5. If I’m over land, I can use VOR triangulation. wow.. well done captain! i am just a typical passenger that flies 20-30 times per year on business. I now fear flying at night over this pitot tube thing. It really bothers me to have that much intelligence reliant on such a small external cylindric opening able to be clogged is terrifying.